Materials scientists, physicists and electrical engineers. 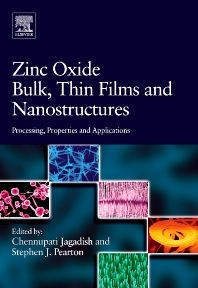 Reasearchers studying the applications of Zinc Oxide in thin films, nanotechnology, etc. 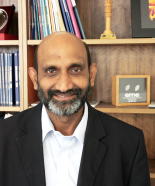 Chennupati Jagadish is a Distinguished Professor in Electronic Materials Engineering in the Research School of Physics and Engineering at the Australian National University. He has more than 35 years of research experience in semiconductor physics, materials science and optoelectronic devices. He has published more than 550 journal papers and edited many books and has given more than 120 plenary, keynote and invited talks at prime conferences in the field. He is world renowned in the fields of semiconductor optoelectronics and nanotechnology. He has received 2015 IEEE Nanotechnology Pioneer Award, 2015 IEEE Photonics Society Engineering Achievement Award, 2013 Walter Boas Medal and 2010 Quantum Device Award and Fellow Australian Academy of Science, Australian Academy of Technological Sciences and Engineering, The World Academy of Sciences and 14 other professional societies.In 2016 Jagadish was awarded the highest civilian honour given by Australian Government, Companion of Order of Australia (AC) as part of Australia Day Honours announced by the Governor General's office.